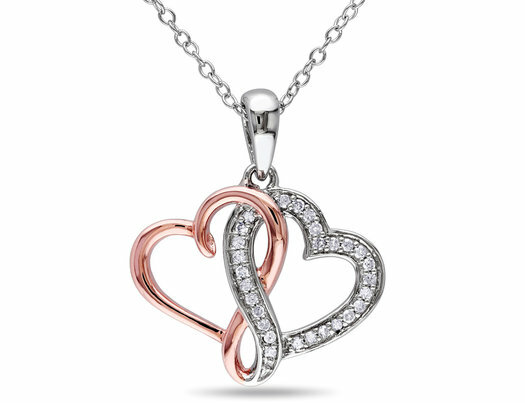 This extraordinary necklace from features a two-tone double heart infinity design. The white heart is adorned with round white diamonds. This gorgeous sterling silver pendant is hung on a cable chain and is secured with a spring ring clasp.